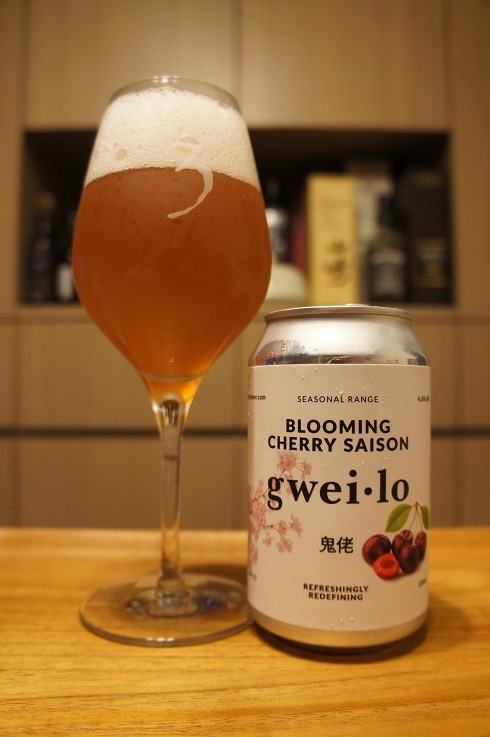 Brewer Description: (from can) Blooming Cherry Saison is a light, thirst quenching saison. 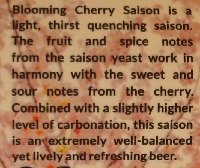 The fruit and spice notes from the saison yeast work in harmony with the sweet and sour notes from the cherry. Combined with a slightly higher level of carbonation, this saison is an extremely well-balanced yet lively and refreshing beer. Intro: A 330ml can, with a best before date of 21st September 2019. Poured into a 3 Fonteinen stemmed glass. Appearance: A hazy apricot orange pinkish colour with a big two finger white head that dissipated quickly and left only sparse to no lacing. Aroma: Wheat, Belgian yeast, clove, banana, sugar, with only hint of cherry and spices. Taste: Lightly sweet and lightly sour, wheat, Belgian yeast, clove, banana, cherry pitt, a touch of lemon and only hints of spice and cherry flesh. Overall: Seems more like a Belgian Pale Ale or Witbier than a Saison. Where is the cherry? 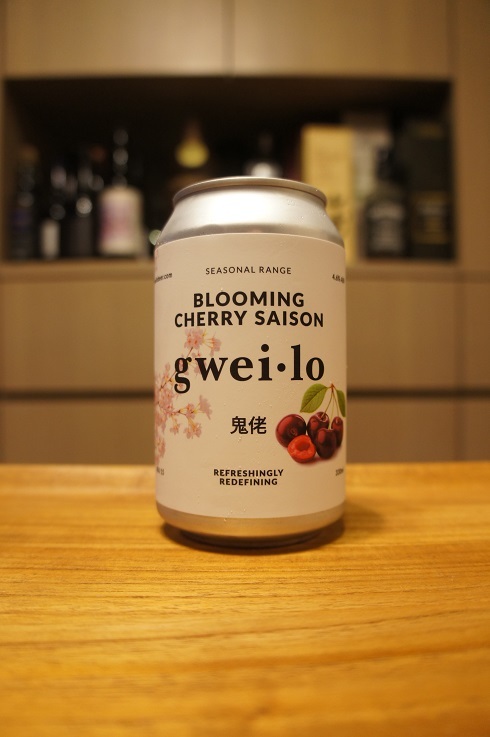 Despite cherry in its name, there is a distinct lack of any cherry aroma or flavours which were just extremely weak and possibly overpowered by the Belgian yeasty clove and banana notes. There is also a lack of Saison peppery spice. So, while the aroma and taste wasn’t bad or anything, as good as it sounds, the result was not what I expected given its name.